Selenium (Se) is a gray metalloid element found in group IVA of the periodic table. It occurs as rare selenides with heavy-metal sulfides, and is obtained as a by-product of copper refining or the lead-chamber process. It was discovered (1817) by Jöns Berzelius. 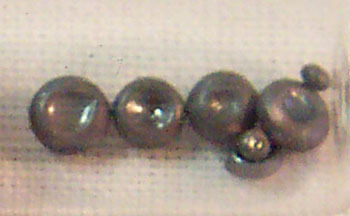 Selenium has three allotropes (see allotropy), the most stable being the gray, metallic form. Its chemistry is analogous to that of sulfur. It is used to make photoelectric cells, solar cells, and rectifier, in xerography, and as a semiconductor; also to make ruby glass and to vulcanize rubber. Its most common isotope is 80Se (49.82%). Selenium plays an important role in the metabolic functions of the body and is essential for maintaining optimum health in humans and other animals. It is an important antioxidant and is significant in cell formation, healthy reproductive processes, and adequate immune response. However, even small amounts of selenium above normal levels can lead to chronic or acute toxicity in humans and other animals and can have a destructive effect on the environment. The riches dietary sources of selenium are meat, fish, whole grains, and dairy products.